iPhone 3G repair in Springfield, MO by Griffin Concepts. Just like the Apple store, but for a much more affordable price and quicker service with the same (or better) level of expertise. From Screens such as broken glass and broken glassdamaged LCD screens to backs, batteries, water damage and more, we have the parts to make your iPhone 3G functional again! Our iPhone Repair Services are available at our shop in Downtown Springfield, call us at 417-268-5211 today for an estimate on your repairs! 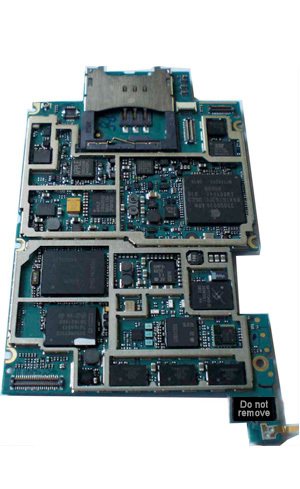 For , you will need the iPhone 3G Digitizer.. The Apple iPhone 3G came out in July 2008, and was the flagship product of Apple for that year. Sold through AT&T in the USA and limited other service providers across the world, the iPhone 3G boasted faster speeds, Assisted GPS, and Installable Programs through the 'App Store'. While this device was designed much more efficiently and direct than the original iPhone (2G), enherit problems of such designs still occured. The glass screen, for example, is smooth to the touch, harder to scratch than most phone's touchscreens, is much easier to crack especially since there is no lip to the device separating the iPhone glass from any surface it lands on face down. Here are is a list of parts available for the iPhone 3G. Most parts are not cross-transferrable with the iPhone 3GS. The 3G iPhone can be idenfitified in a few ways 1) Black or White (16Gb Only) plastic smooth back, with dull gray lettering, 2) Model number indicates "A1241" on the second line of identifying information, 3) Via Model Number in SETTINGS > GENERAL > ABOUT : MODEL (could say "MB046LL", "MB629C", "MB704LL" or "MB702LL").